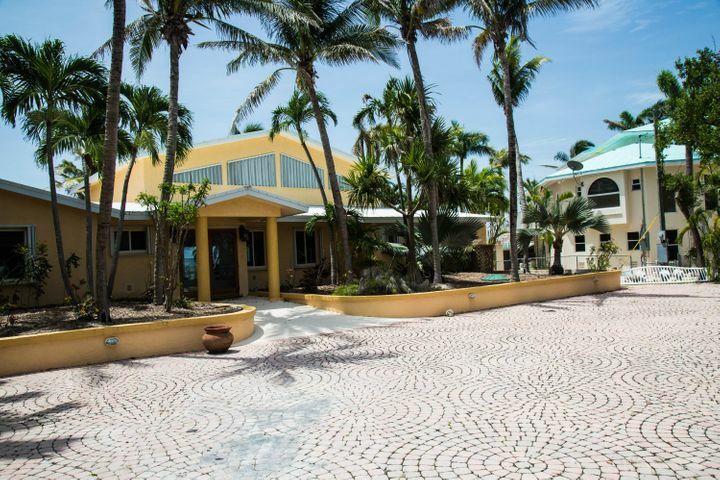 An ocean breeze, the sound of the surf, the calmness of the sea and spectacular sunrise views, all sights and sounds from this home in beautiful Summerland Key Beach. This sprawling oceanfront home sits on 3/4 of an acre, behind a gated entrance, with stunning ocean views from nearly every room. Private entrance with a mosaic of pavers, tropical landscaping, and fountain, 1 bedroom/1 bath guest cottage. Hurricane Damaged. Being sold ”As-Is”.